McSweeney also realized that she was not at all alone. 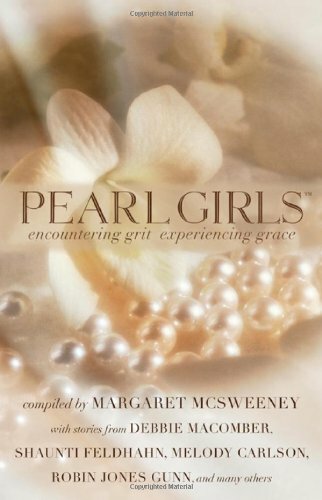 It is for this reason that she decided to compile essays into an inspiring book: Pearl Girls: Encountering Grit Experiencing Grace. Through this collection, readers will be encouraged by the heartfelt writings that deal with loss and hardship in a real and honest way. Respected authors such as Shaunti Feldhahn, Melody Carlson, Debbie Macomber, Robin Jones Gunn and others help remind every woman that they are not alone and that no circumstance is beyond the grace of God. McSweeney uses the metaphor of a pearl in order to better describe the situations that ail us all. When an oyster takes in a piece of sand in order to create its coveted masterpiece, it is initially painful to the soft flesh of the creature. But after the pain, appears a clean, white symbol of simplicity, purity, and endurance that any woman would be proud to wear. McSweeney believes that each woman is a pearl and together, form a necklace of great worth. In this book, readers will discover community and encouragement: women are alone in neither their pain nor victories in life.